Turkey should “come to its senses” and use the European Commission report released Tuesday as a useful self-examination tool to improve its image domestically and abroad, the Foreign Ministry said on Wednesday. The Greek FM referred to a Commission report on progress made for accession talks on West Balkan countries and Turkey, which called on Turkey among other things to improve relations with EU member-states, especially Greece and Cyprus. “Rational and calm thought should prevail in difficult times” underlined Foreign Minister Nikos Kotzias in an interview on Wednesday with 247 FM radio, referring to the issue of the Imia islets raised anew by the Turkish Foreign Ministry. He explained that “it is clear the Imia are under Greek ownership, and it would be wise of Turkey to understand that on the Aegean side at least it ought to and woud be beneficial for itself also to act according to international laws. Greece is far more organised as a country in all field and sectors than Iraq and Syria are”. Greek sovereignty over the islets has been established by three international treaties, he said, which are explicit on the issue. 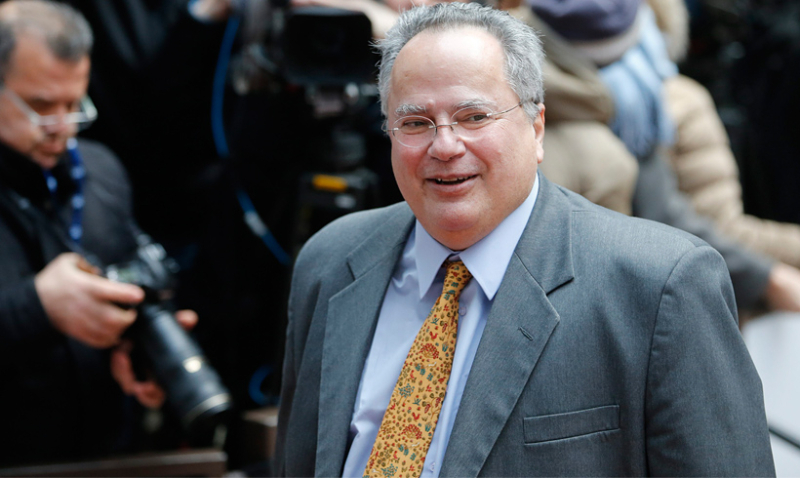 Kotzias said that “if someone is to take an initiative in foreign policy it would be good to consider what might come after,” he said, adding that “the Greek flag may be raised everywhere” he noted “but when and how you defend this action is something you should also think about,” he said, referring to an incident involving the Greek flag on an islet. “The government, the Prime Minister and the Foreign Ministry are responsible for the foreign policy and its coordination”, concluded Kotzias.